In a Nutshell: When it comes time to choose an academic path toward an eventual career, today’s high school students are often directed toward science, technology, engineering, and mathematics (STEM). However, the path for those students who want a career in the service industry or in other direct-to-consumer jobs in fashion, interior design, or culinary arts is less clear. That’s where the Family and Consumer Sciences (FCS) Professional Development project comes in. The California Department of Education’s FCS program prepares students for careers in fields like hospitality, design, food and nutrition, child development, and other service industries. It also teaches life skills like financial literacy, professional development, and communication. Think back to the advice you heard in high school about potential career paths and what subjects you should prioritize. For me, it was computer science, which meant a heavy focus on math. Depending on your generation, you may have been advised to consider programming, biotech, data analysis, health care, or any number of careers in the STEM fields, which is an acronym for science, technology, engineering, and mathematics. But what if a career in those areas doesn’t interest you? Some students may prefer to work with their hands. Or maybe they’d like a career where they get to interact with people on a daily basis. Others may be interested in fashion design, food and nutrition, or child development. All of these career paths are valid choices and will almost certainly be in demand for tomorrow’s labor force. Schools should be places that prepare kids for success, no matter what their decision on a career. The California Department of Education is helping to reinforce that through its Family and Consumer Sciences (FCS) Professional Development project. This program is set up to empower a dedicated group of educators focused on providing students from all backgrounds with the academic and technical skills for a future in a variety of occupations. We recently spoke with Nina Dilbeck, Project Director at the Family and Consumer Sciences Professional Development Project. Dilbeck explained to us that FCS is what many may remember as home economics. One of the tenets of the FCS program is a belief that career path decisions shouldn’t be forced onto students but should be a choice they make themselves based on their desire, aptitude, and preference. It is this belief that makes FCS a vital part of the educational system within California schools. Teachers within the Family and Consumer Sciences program face a unique set of challenges in preparing students for future careers. In addition to the standard academic curriculum, educators must also address a wide range of practical skills. Administrators at the FCS Professional Development Project offer a variety of resources for teachers of these topics, including workshops and webinars to help them better prepare. To meet California’s future job needs, the FCS program has developed courses in three major industry sectors. The first of these sectors is Child Development and Education, which seeks to prepare students for careers in education at the preschool and elementary school level. The courses in this sector also help prepare students for careers in any area where caring for children is involved. The next sector is Hospitality, Tourism, and Recreation, which is primarily for students interested in the culinary arts and other careers in food and nutrition. Employers expect the demand for trained workers to fill jobs related to dietary counseling and food science will grow in the coming years. Fashion and design is one of the FCS areas of focus that serves students in California particularly well. Another thriving industry sector is Fashion and Design, which includes careers in clothing design, interior design and decorating, materials purchasing and planning, sales, and other related areas. 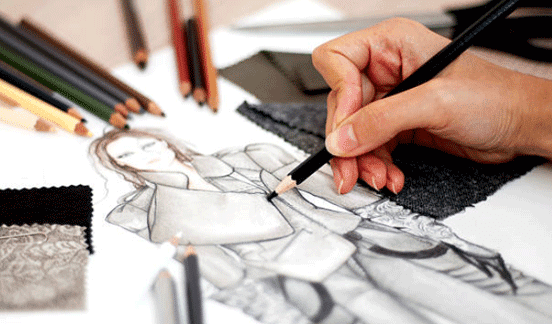 As a major design and fashion hub, California has a growing need for workers trained in this highly specialized area. In addition to courses in the various industry sectors, the FCS curriculum also includes practical studies in the key areas students need to know. This includes topics like consumer economics, the impact of fluctuations in materials costs, and other topics. Bringing what was known as home economics into the 21st century is as much about the changes in our society as it is about preparing students for jobs. The skills that were taught a century ago — primarily to young women — were focused almost exclusively on homemaking and family rearing. Today, FCS teaches both boys and girls a range of skills that can lead directly to a job or to secondary education or apprenticeship. It’s this focus on skills training and preparation for a career that’s the biggest difference between the traditional home ec as some people may remember it, and the evolution to family and consumer sciences. Hands-on training and lessons in how the business world operates provide students with the necessary skills to succeed. In addition to these practical and life management skills, the FCS program provides leadership skills training. Students who choose to can join a student leadership group that helps them develop skills, like public speaking, through interscholastic competitions. The Professional Development Project organizes an annual Leadership and Management Conference in support of the teachers who are committed to helping students learn these valuable career skills. During this three-day conference, attending teachers have an opportunity to learn about the latest techniques, trends, and technologies in FCS instruction. It’s important for teachers in this career-focused field to have exposure to the opportunities available to student participants of their programs, and not just to have an academic understanding. At the conference, teachers hear presentations and seminars that help them develop better strategies and methods for helping prepare their students. For students considering a future in any consumer service-related field, the FCS program can provide a head start in developing the necessary skills. Teaching these students important lessons about what it takes to succeed in a professional career is extremely valuable. And by combining these lessons with practical skills, like budgeting and financial literacy, we’d say students are getting a terrific opportunity.